What we learnt on the India’s Cup 2018. Any vehicle is accepted the India’s Cup. However: the more classic, and the less suitable, the better. 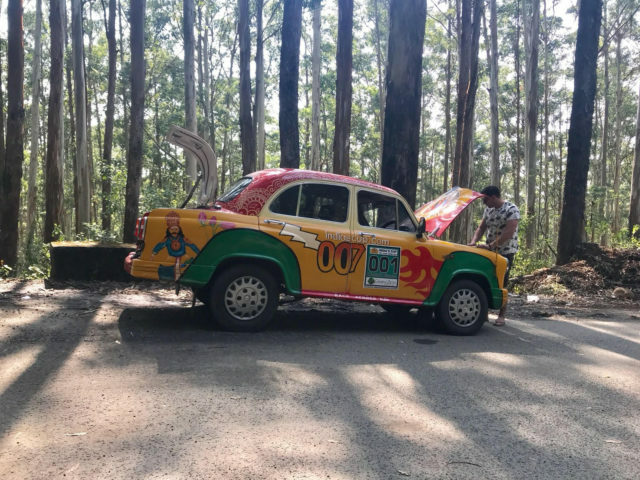 This time though, the field were all in Hindustan ambassadors; a real classic of Indian roads, this made for an interesting blend of fitting in and (as a group) standing out. 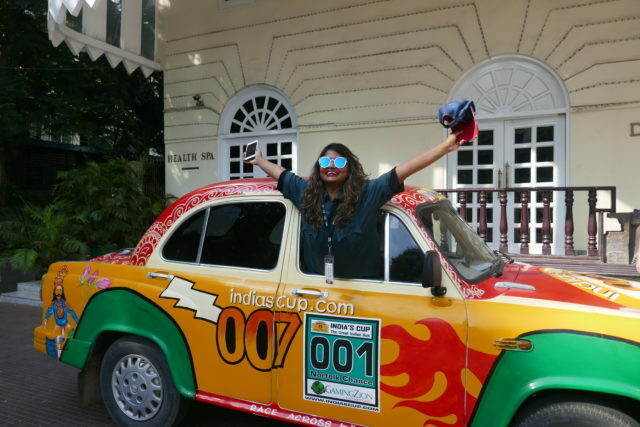 Most importantly, they took teams 2700 kilometers, from Chennai to Goa (with a lot of detours in between). One thing about these cars: they are… temperamental. Especially on hot, long days, with drivers who aren’t used to this unique vehicle. 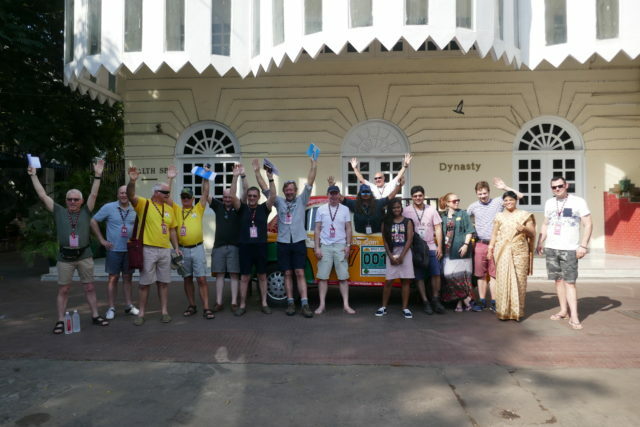 It took some getting used to, and quite a few pit-stops along the way, but by the end of the trip our teams had learned to love them like family (fault air-con included…). 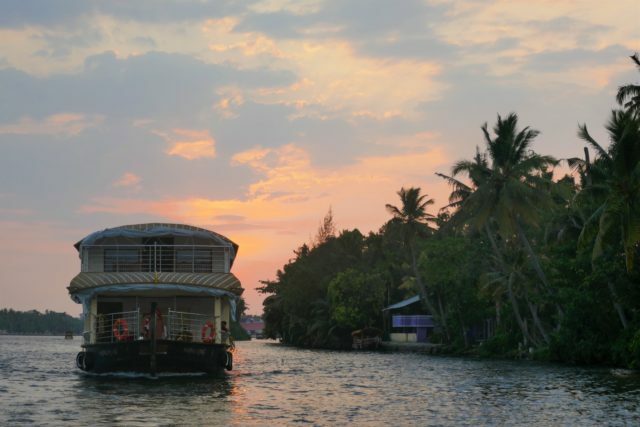 We saw some of South India’s most remarkable places, like the ‘Venice of the East’, Alleppey, pictured above. 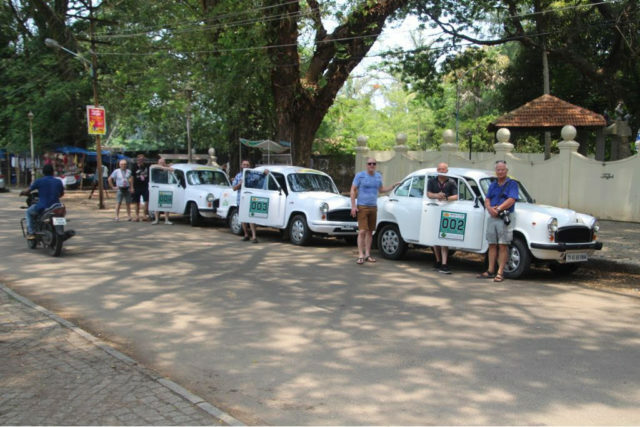 Other highlights included the tea fields of Ooty and, of course, the beaches of Goa. Being India, of course, there were also many historic sights to see. 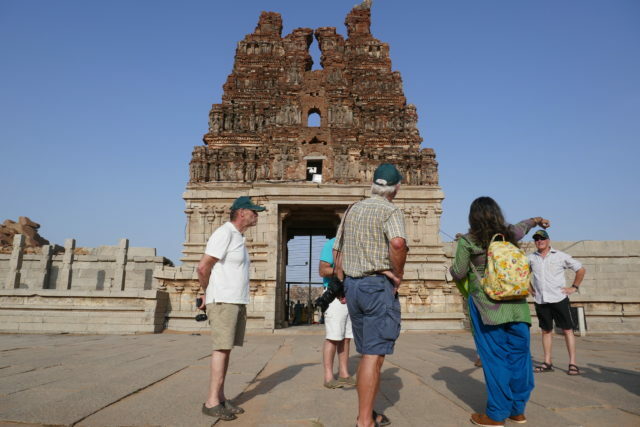 We even had an excellent guide Deepa, pictured here showing participants around the incredible ruined city of Hampi. The Sea Temple at Mamallapuram and the Chinese fishing nets of Kochin will also stay in the memory. As with every Travel Scientists‘ trip, lots of new friends were made. 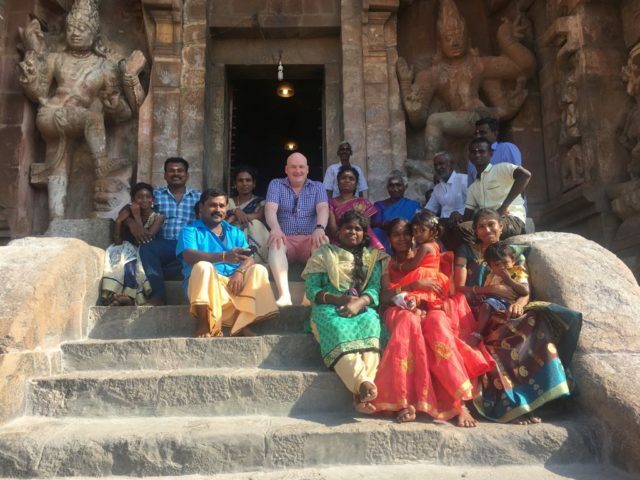 Every day on our journey locals were keen to snap a “selfie” with teams. And it wasn’t just human friends. 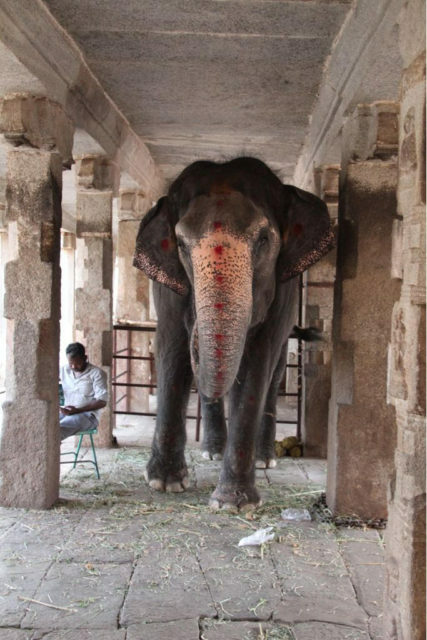 Passing through wildlife reserves we saw many animals, but none so memorable as temple elephants. Oh, and our teams also became famous. 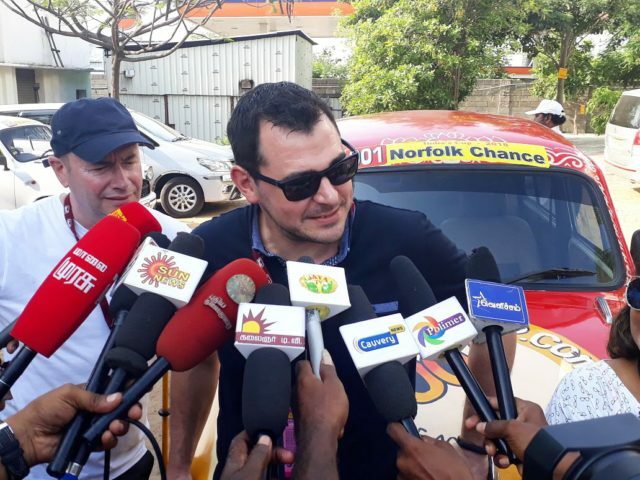 In Tuticorin the local press caught wind of our trip, and the state’s TV stations were jostling for interviews! At the end of the day, this was a challenging event, but one that participants will surely remember. These experiences just can’t be had on a normal holiday; and we can’t wait for next year! Are you crazy enough to come along for the ride? Then join us on one of our next adventures. Get a team together and let’s see you at the starting line! If you want to join us in spirit, like us on Facebook or follow us on Twitter and Instagram to keep up with our latest antics.